Keith Richards is planning to record a new Rolling Stones album next year, admitting he's keen to "shove them in the studio in April"
Keith Richards is planning to record a new Rolling Stones album next year. The 'Satisfaction' rockers haven't released an album of new material since 2005's 'A Bigger Bang' but Keith is hoping that will change by getting them in the studio in April. 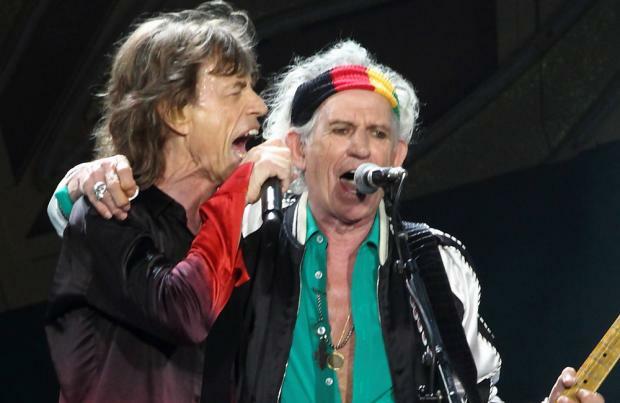 After admitting the band had a "little chat" about recording new music when they recently met up, the 71-year-old rocker insisted it should happen because they're better musicians now than when they were younger. He said: "These guys aren't getting any younger, but at the same time, they're getting better. "I'd love to shove them in the studio in April, hot off the road." The band - which also features Sir Mick Jagger, Charlie Watts and Ronnie Wood in its current line-up - toured the US last year and will launch a major exhibition based on their years of fame titled 'Exhibitionism' next year. And although he keeps active, Keith admitted he's surprised he's still going strong. He said: "It's my turn for growing old. I never thought I'd get this far. "Now, I have to think about this and wonder what to do with it. I don't know, man." In September, Keith put out his third solo album 'Crosseyed Heart' which was his first release on his own in 23 years.